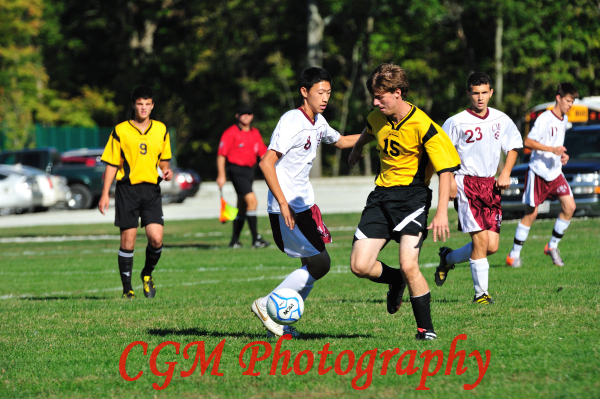 A couple of weeks ago was the CGA Varsity soccer team final home game that included recognition for the team’s seniors. Given that it was last time the girls would play on Culver’s campus together, as a team, it was an emotional day for everyone. The girls played hard but with several players out due to injuries, they could not pull out a victory. Over Fall Parent’s Weekend, the Culver Academy Boys Varsity Soccer Team played their last home game of the season against Portage. The weather was nice and the CMA Eagles played well. They won 3 to 1. 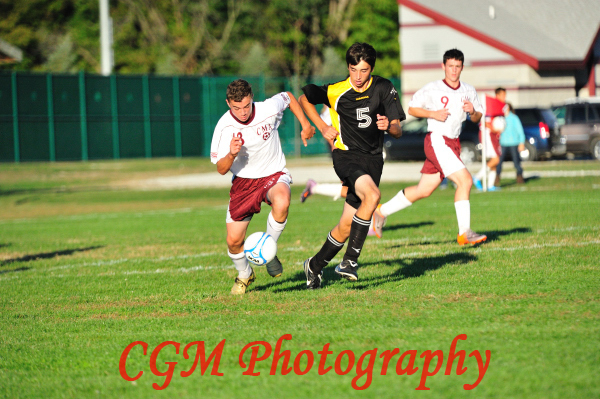 This past weekend, the CGA Varsity Soccer team hosted Wawasee High School for a Saturday afternoon game. 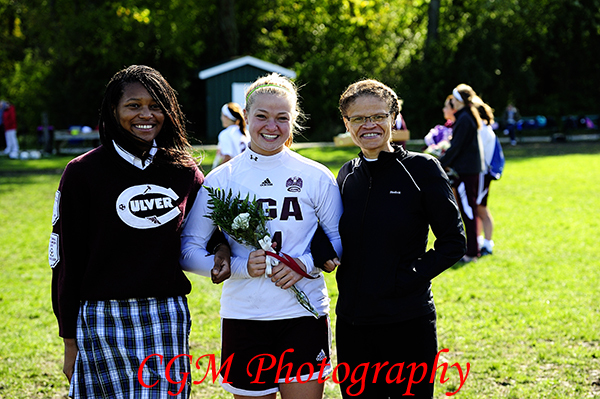 Culver started the game on a a positive note with Amber Cowell scoring the first goal of the game in the first two minutes of the game. Both teams played well as was reflective of a few lead changes. Ultimately, the CGA Eagles won. The other morning, I shot the CGA JV soccer team as they hosted the girl’s JV team from Culver Community High School on Culver Academy’s campus. With this being a match between the two local schools that I follow, I found myself in the awkward position that I couldn’t cheer for one team over the other. I love the school I graduated from, but I have grown to love the community I live in, so I cannot root for either side. Ultimately, I hope for a tie. This game was a lot of fun to watch as both teams were very evenly matched. THe pictures show just how determined the girls played on both sides. The girls from CCHS won by one goal. I’ve posted some photos here. The other jv pictures from this game are located at http://www.culverphotos.com/9_04_10_soccer. 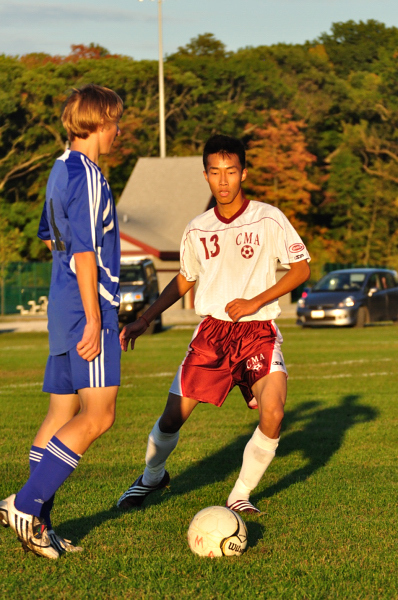 The other day, I attended the CMA Varsity soccer game as they played against the CCHS team at Culver Community High School. Unfortunately, I was at the game only about 15 minutes before the weather changed and it started a severe downpour. As there was no lightning, the game continued but there was too much rain to get decent photos and I decided to leave to protect my gear. I’ve posted some photos here. The others that I took before leaving are located at: http://www.culverphotos.com/p84303042. 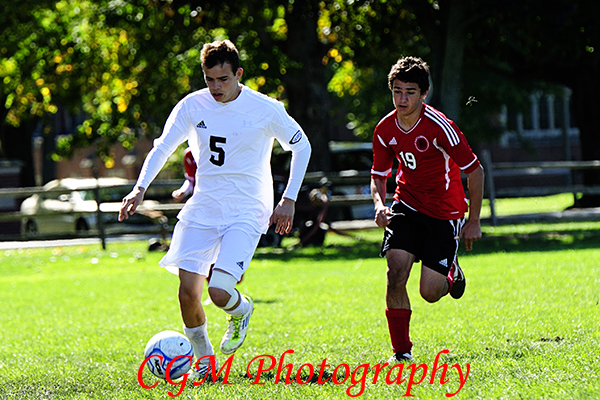 What a great day for a soccer game at Culver Academy. This evening, the CMA Eagles JV Soccer Team hosted Mishawaka Marian High School for a soccer match that was quite exciting to watch. The teams were closely skilled with no domintating winner. Due to a previous appointment and fading light (the game didn’t start until 6:30), I could stay only for the first half. But that half was fun to watch. I’ve posted my favorite photos from the game here; more can be found at www.culverphotos.com. I believe that the final score was 2-1 with Culver winning. 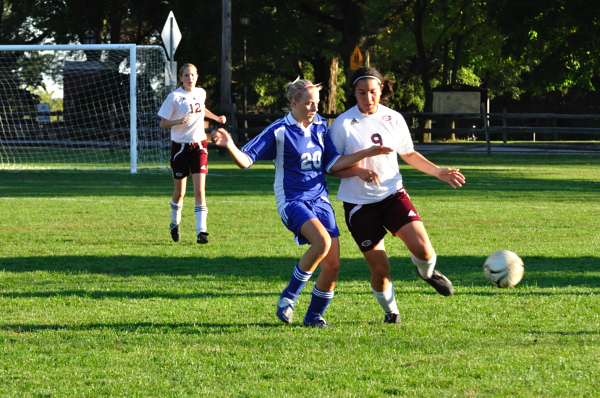 It was a nice afternoon for a soccer game as the CGA Girl’s JV Soccer Team hosted Mishawaka Marian at Culver. 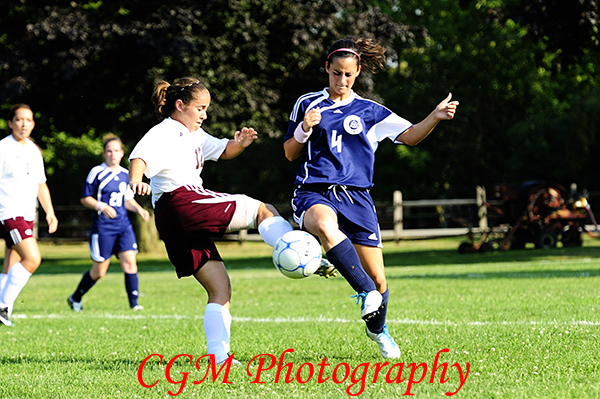 The girls played well with some great action on the field, but they could not catch up with Marian. It was obvious that the Marian team has been playing together as a team for quite some time as their passing skillls and ability to move the ball up the field were unbelievable. 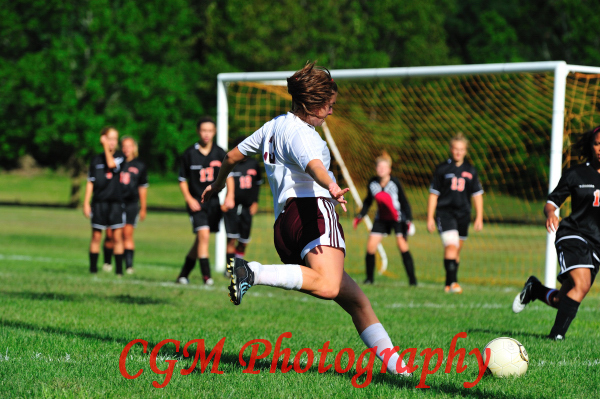 Marian scored the first goal in the first two minutes of the game. 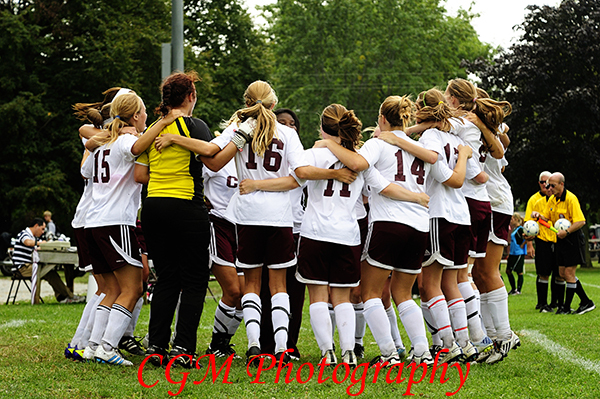 The Culver Girls team never gave up. The final score I believe was 1-5. I’ve posted my favorite photos here; more can be found at www.culverphotos.com.